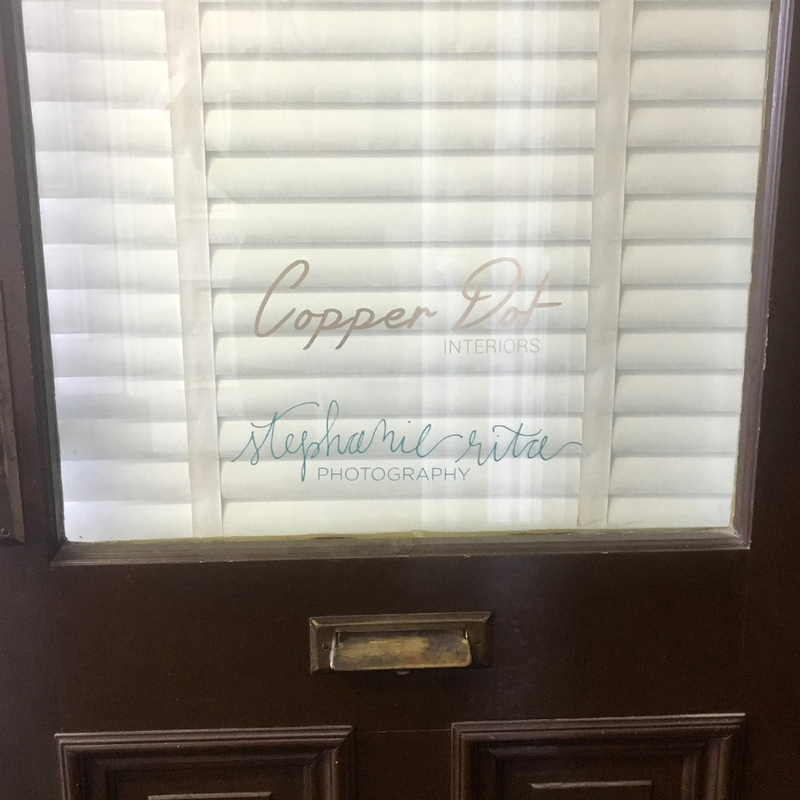 Copper Dot Interiors is Moving! I'm beyond thrilled to tell you guys that Copper Dot Interiors is moving!!!!!.... out of my dining room and a 1/2 a mile away!!! 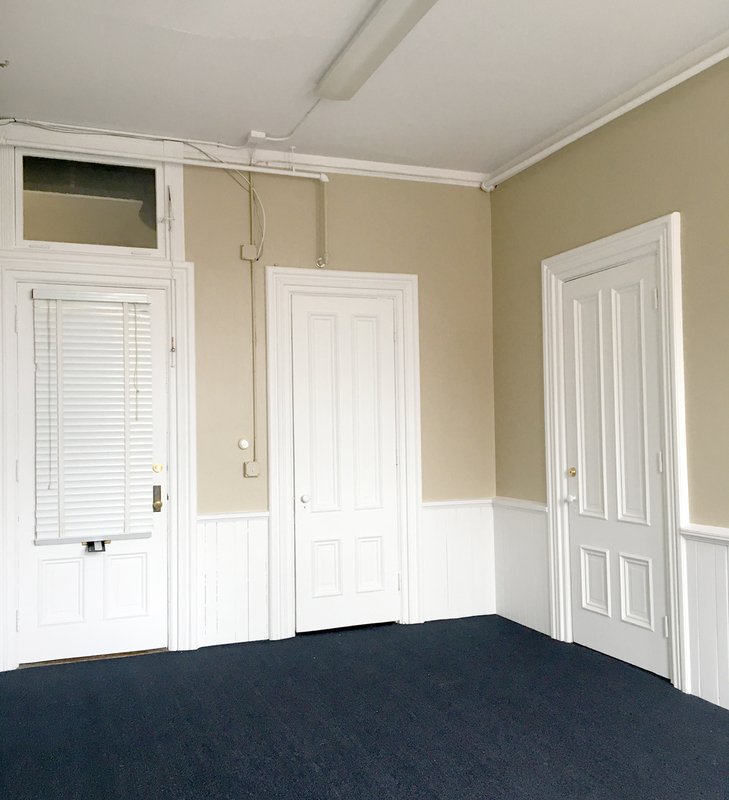 I'll be sharing 237sf of office space in this 1874 historic town building (!!!) with the talented photographer Stephanie Rita Photography. Without any furniture in it to help to show scale it isn't obvious, however those ceilings are over eleven feet tall!!! 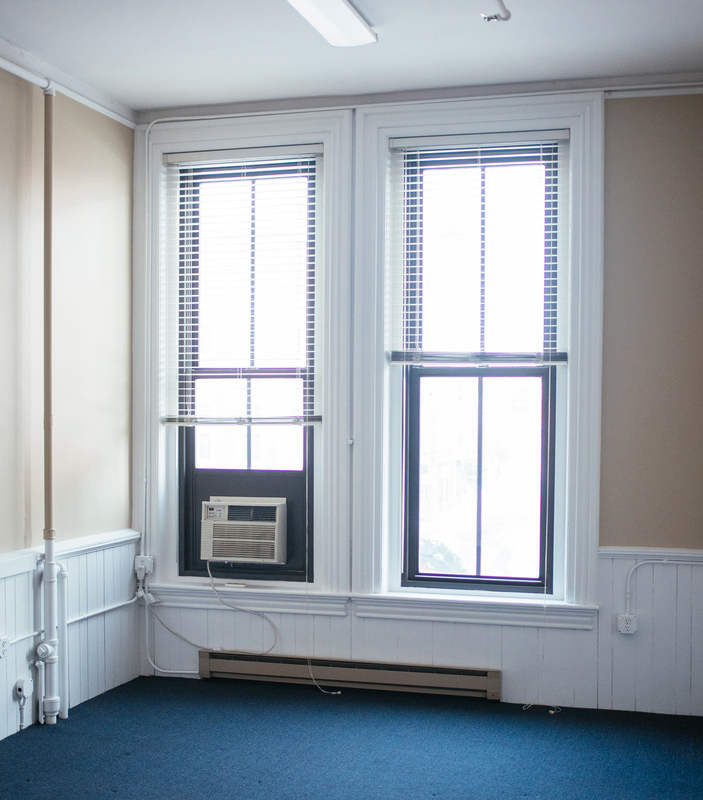 We have some great ideas for the space, but the first thing will be painting over that tan. It's a lot of tan. Once it get's painted white, oh boy, this is going to be a fun white box to design. 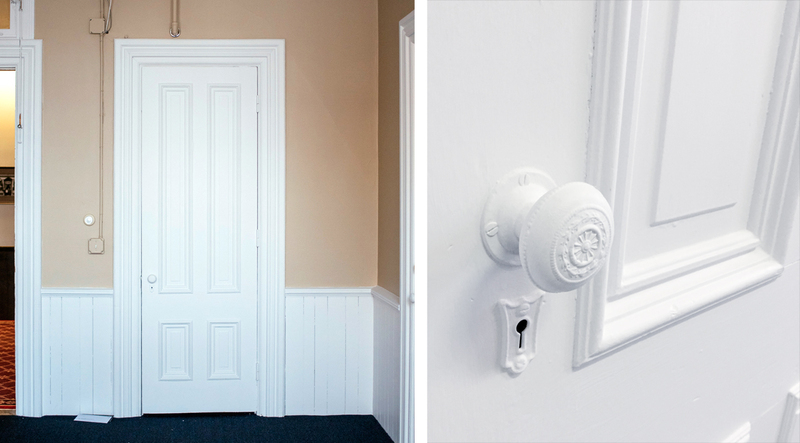 Aside from the excitement of a new office and hopefully growing my business, the architectural details of the building make me all weak in the knees. The doors, guys, the doors! 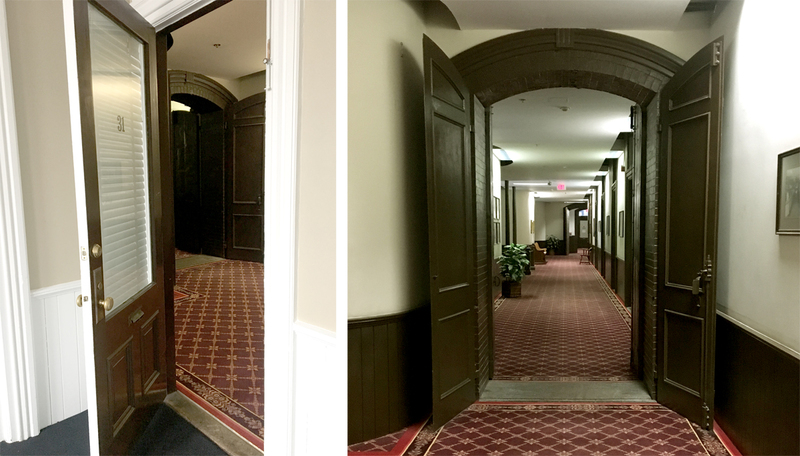 While the hallway carpet isn't my particular cup of tea, this building already has my heart! 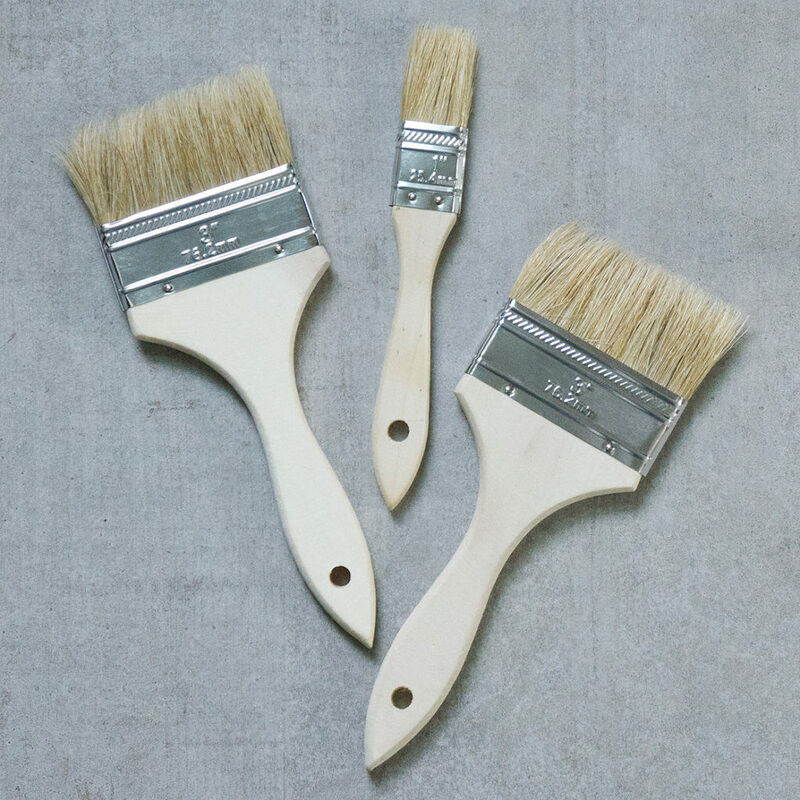 I am so so excited for this next step for Copper Dot Interiors! I have some fun projects in the pipeline and will hopefully be sharing more of Copper Dot's work with you! Hey look, I'm still here! I've been burying my head in design client projects lately while we've been waiting to hear about the short sale flip (which we're STILL waiting on btw, supposedly we should know in 5 days, fingers crossed!) and I have neglected DIY projects and sadly you guys. I came back from Haven bursting with ideas for projects and posts, but I got a bit derailed when I saw 2 pink lines. That's right, part of the reason I've been MIA lately is that I have a very different kind of construction project going on- our biggest one yet! Copper Dot Baby should be arriving mid-April and Hubby and I couldn't be more excited! I'm coming out of the first trimester fog with renewed energy (most days) and pent up motivation to get ALL the things, projects and designs done. 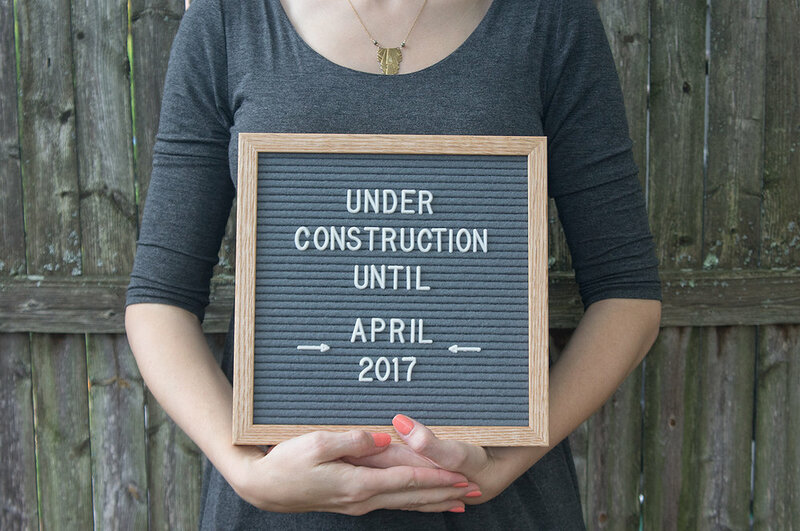 That means lots of projects I want to get done before April, (hopefully) an amazing flip over the cooler months, AND a super fun nursery design will be coming your way! The only downside is that I'll be giving up my office for this little babe, but I have a feeling it will be more than worth it. Luckily as I was doing my office design last year, I knew it would ultimately turn into a nursery, so the wall color and rug will most likely be staying as is. 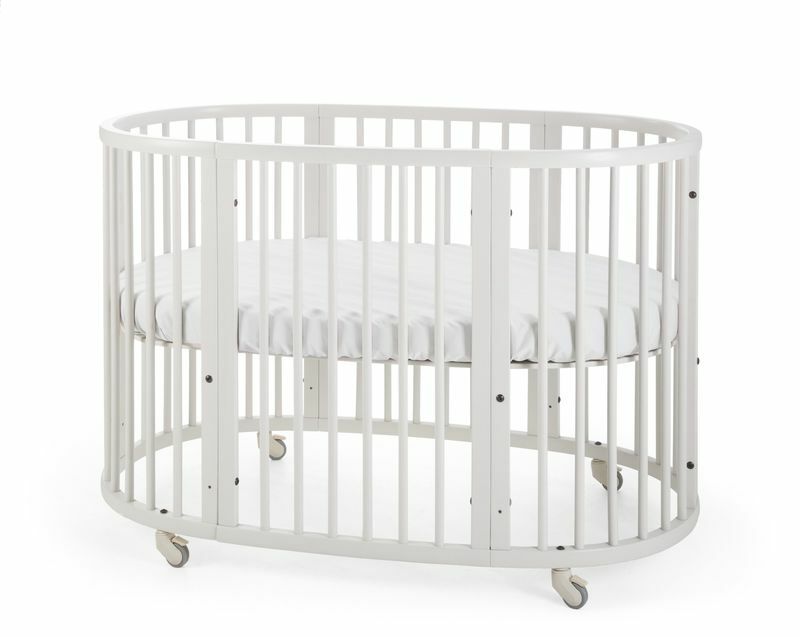 I MAY have already Criaglisted my dream crib which we'll need to buy a new mattress for- *affiliate link- see below for more info* Stokke Sleepi Crib in White . Awesome crib for less than half the cost? Yes please!! Oh, and did I forget to mention that thanks to the miracles of modern science, not only do we know that this babe is at a low risk for lots of bad stuff, we also know the gender already! As if this news wasn't exciting enough after some blog silence, I have the project reveal of DanceFit Studio coming to you tomorrow AND the latest round of Swap It Like It's Hot on Friday! Like I said- renewed energy and motivation. Let's do this! It's only Wednesday, but this week has already been a big one in the Goodman household. Aside from getting brandy new headshots for the new blog design (coming in May), several new design client consultations, and trading in my 20s girl convertible for a fun new Mini, Hubby decided to take a huge leap career-wise. Very soon I will be married to a real estate agent! It'll be a great move for this sales-addicted, budding real estate mogul, plus it won't be a bad move for our flipping business either. Hubby gave his 2 weeks notice on Monday and since then, the reality of us both being self-employed is starting to sink in a bit. I'm pretty sure we can handle it. Wine will help. So will kitten cuddles. Speaking of kittens, Daisy got some new head shots too. She was shockingly cooperative during the photo shoot with Stephanie Rita. I wouldn't be shocked if there were an equal number of shots taken of the cats as there were of me. They were on their best and cutest behavior and I didn't even have to bribe them with treats! Pop over to Stephanie's blog to see a preview of the human-focused part of the photo shoot. These photos are going to look awesome on the new site! Anyway, I'll be back on Friday with a REAL post! And not just any post, a DIY post! I'm just putting the finishing touches on Franken-Chair before it's big reveal. It's long overdue!